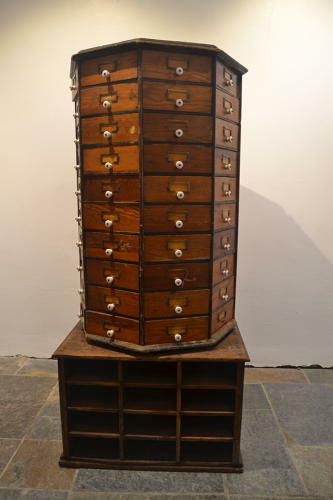 Originally used for storing a large amount of costume jewellery in a very limited space. Purchased from a jeweller's shop closing down in San Francisco. Needs a small amount of restoration - so discount price is £3600.